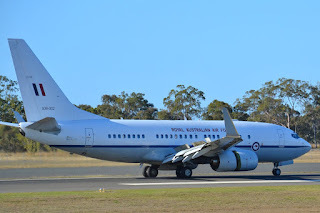 A couple of nice surprise arrivals into Central Queensland Airports over the weekend with both Royal Australian Air Force (RAAF) Boeing B737-700(BBJ) 34 Squadron VIP transport aircraft paying a visit. On Saturday 21 July, A36-001 was noted arriving into Hervey Bay (Fraser Coast) Airport from Brisbane as "Consort 49". 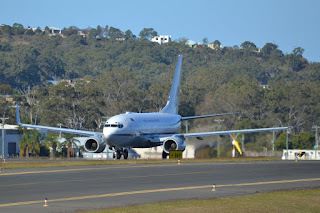 After some time on the ground, it departed to Townsville. 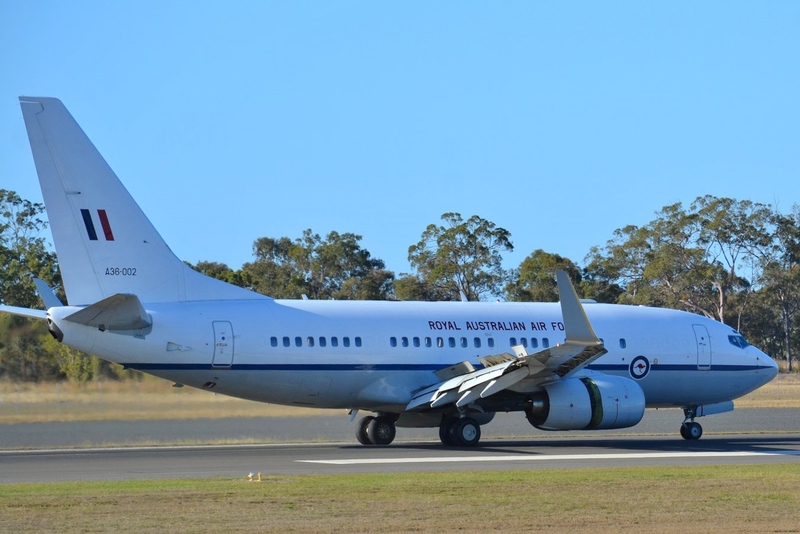 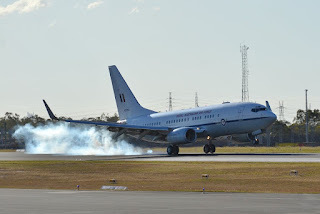 While not confirmed, it was reported that A36-001 brought Australian Prime Minister Malcolm Turnbull to the Fraser Coast for a series of engagements. 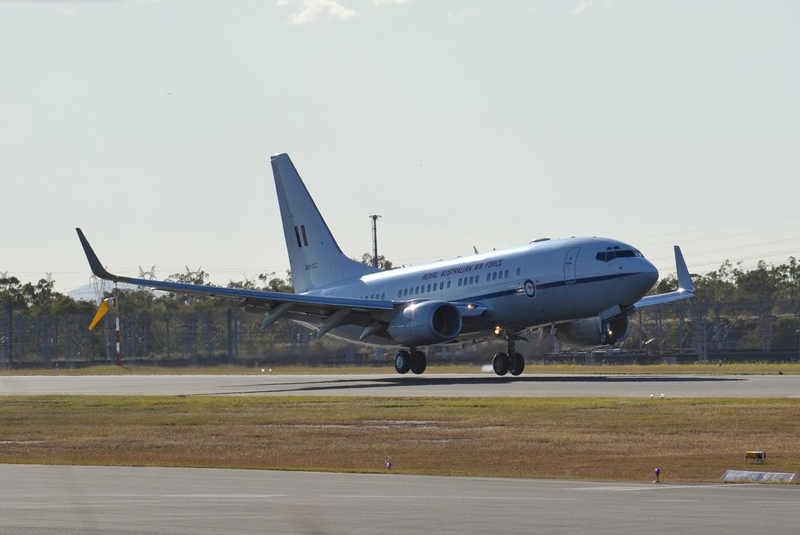 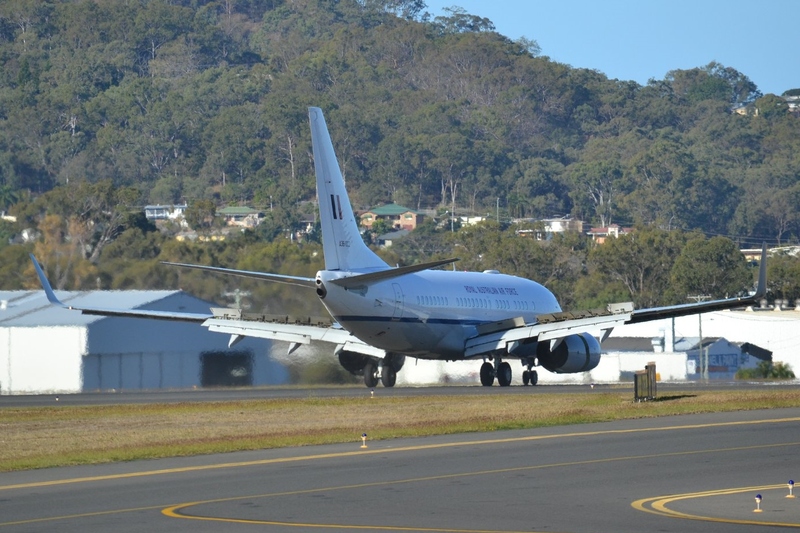 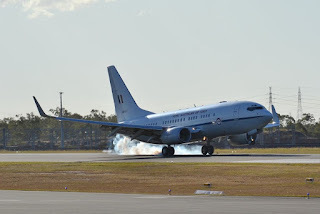 Meanwhile, later on Saturday 21 July, fellow RAAF BBJ A36-002 was noted arriving into Rockhampton Airport as "Wisdom 71" from Wagga Wagga in New South Wales. 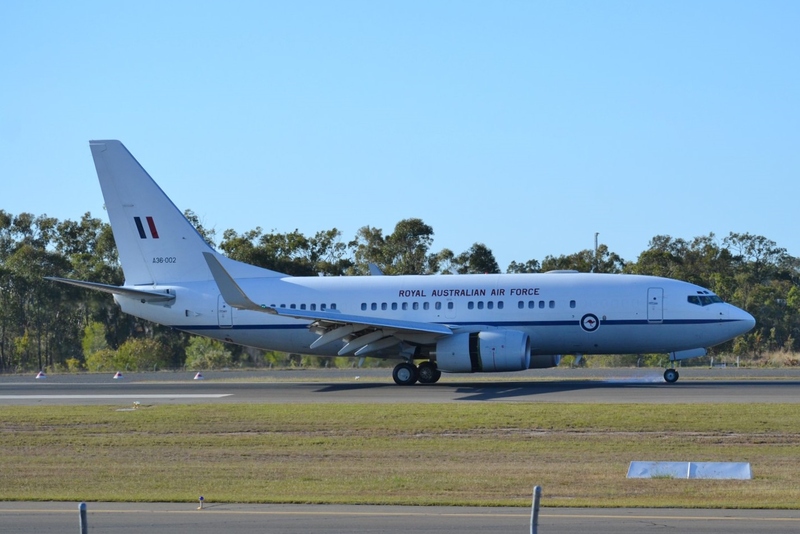 It was reported that it brought Australian Deputy Prime Minister Michael McCormack to town for a series of engagements. 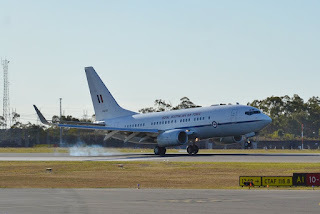 A36-002 spent the night at Rockhampton Airport and departed to Gladstone Airport during the afternoon on Sunday 22 July. 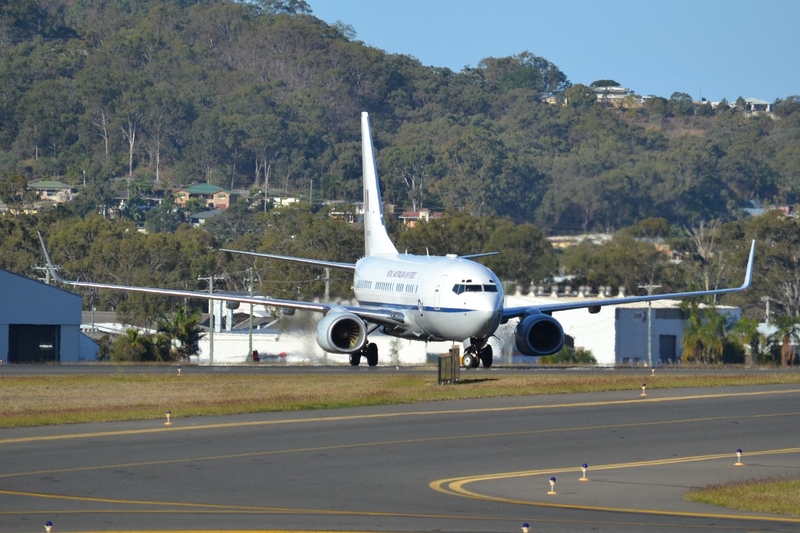 Local plane spotter Anthony S was on hand and captured some great photos as it touched down after completing the short hop from Rocky. After taking on fuel, A36-002 was then noted departed after dark to Devonport in Tasmania. 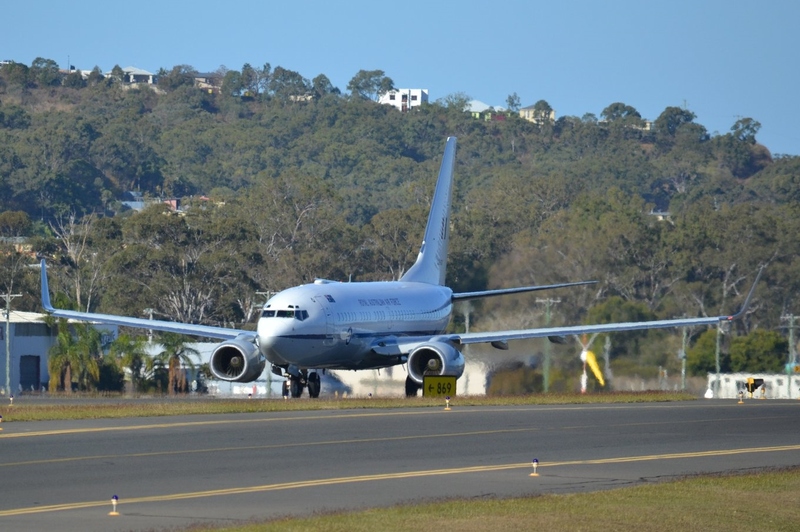 Sincere thanks to Anthony S for taking the time to capture and send through these great photos!